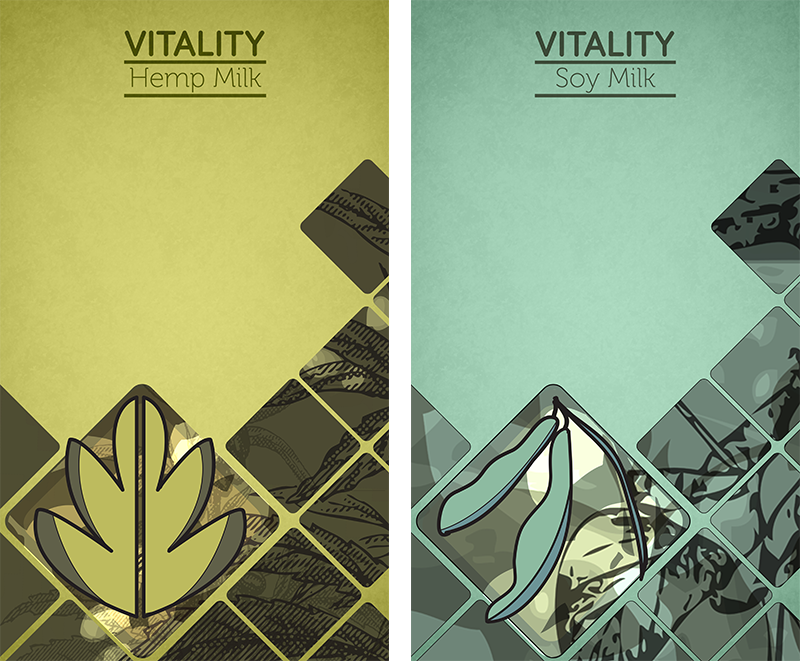 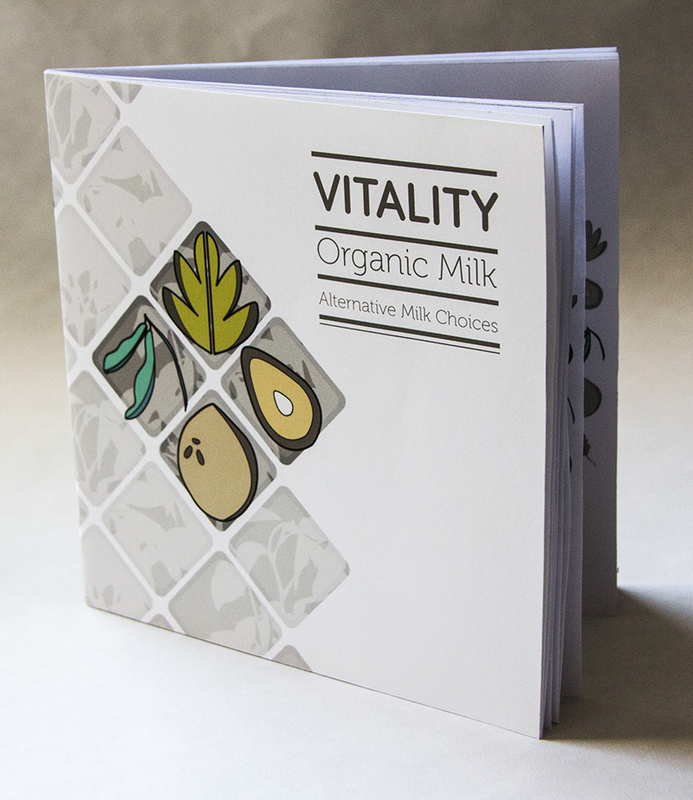 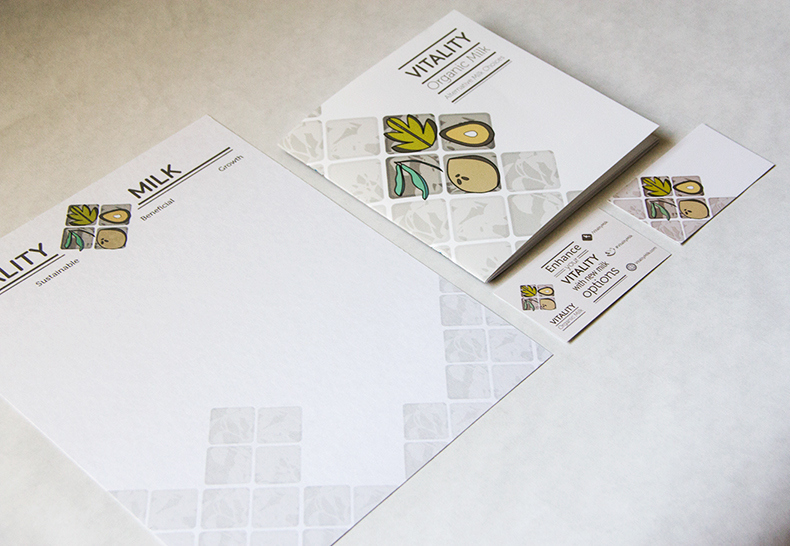 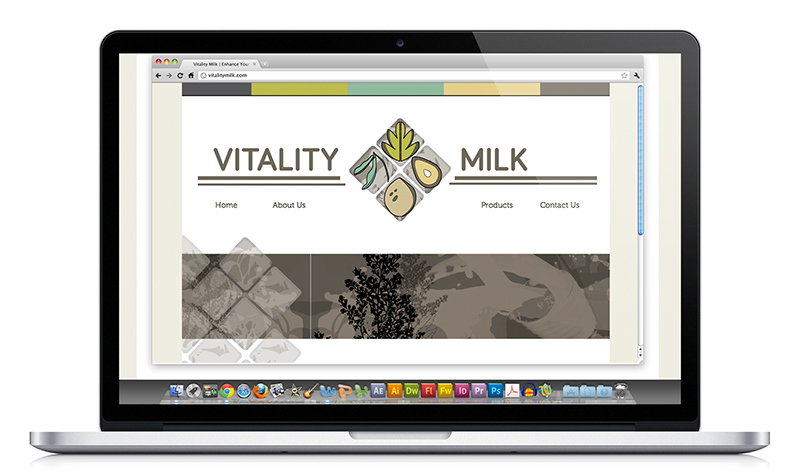 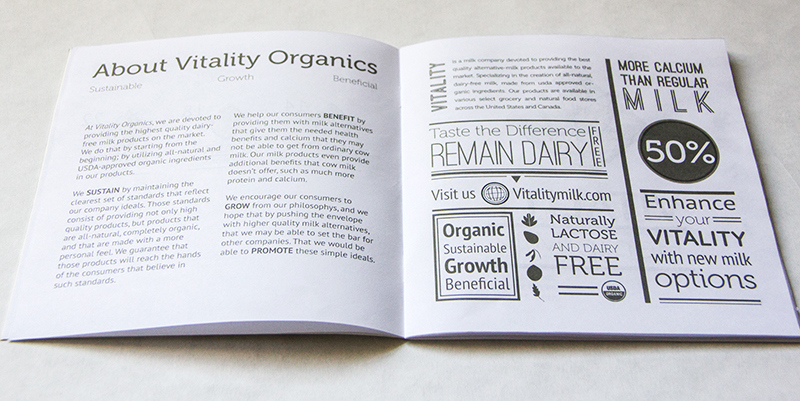 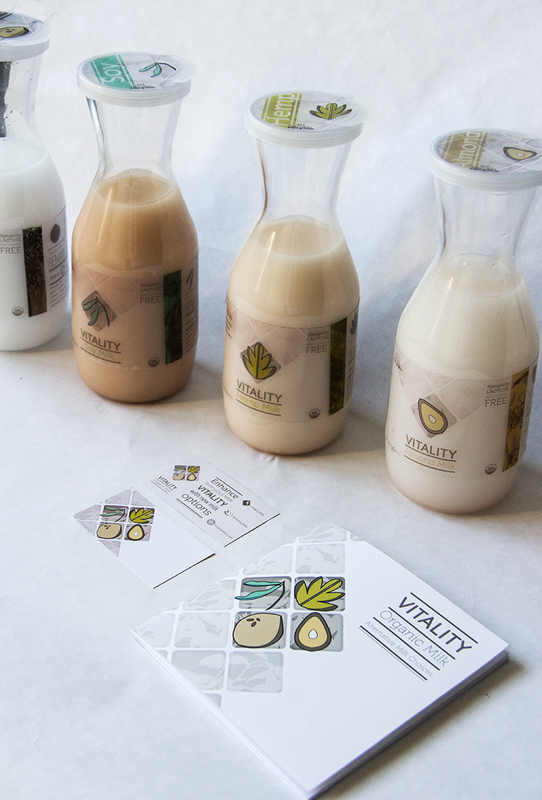 For my Senior Thesis, I put together these designs for a concept company called Vitality Organics, with the sub brand Vitality Milk specializing in organic plant-based milks. 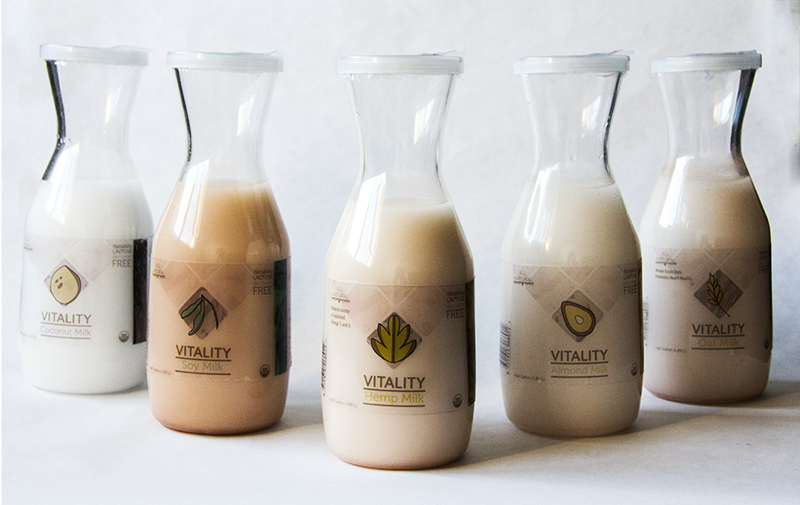 I started out doing a lot of researching on various products and the market, and I found out that the dairy-free milk market was starting to heavily grow due to nationwide transition into lactose intolerance. 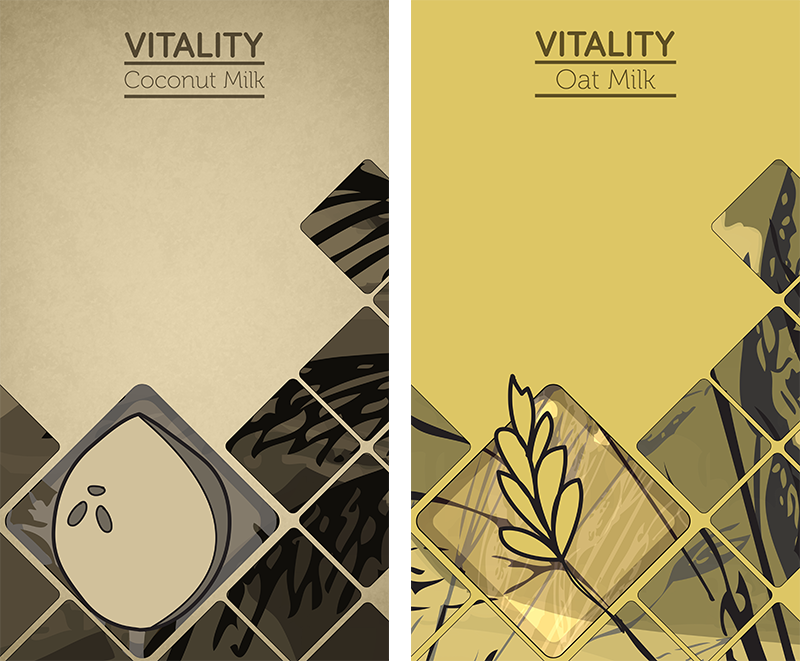 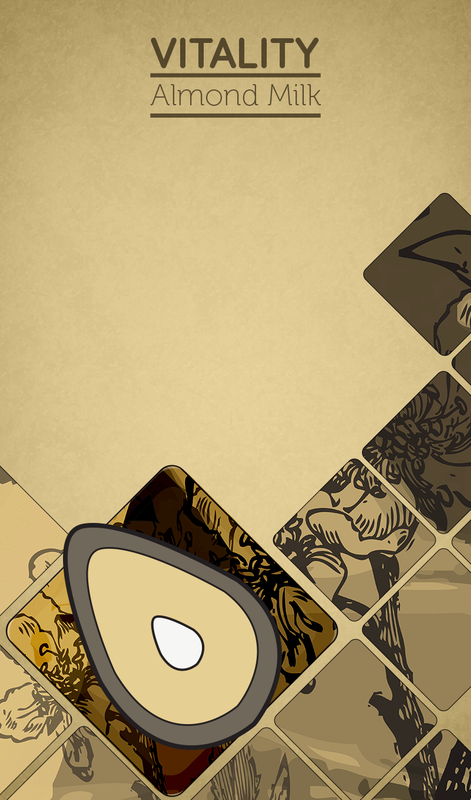 So for these designs I wanted to brighten up the shelves while showcasing my Illustrative style, and try something new with Milk Alternative Packaging.